The CMA Country Music Association's critically acclaimed CMA Songwriters Series will return to C2C Country to Country on 7 March 2019, at indigo at The O2. 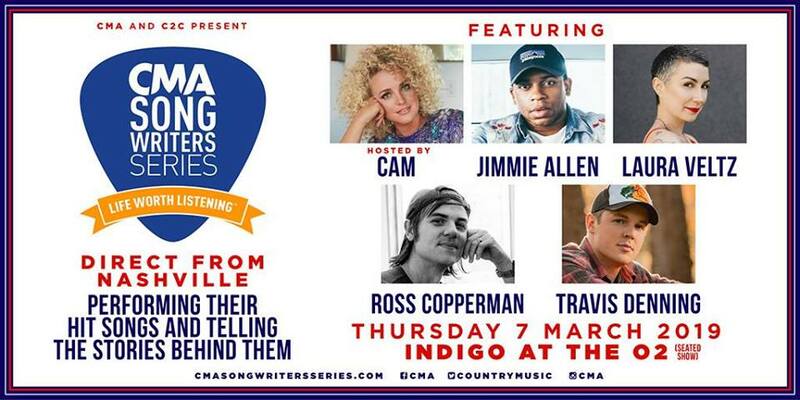 Hosted by Cam and featuring Jimmie Allen and Ross Copperman, it will also introduce Travis Denning and Laura Veltz to UK audiences for the first time. The performance marks the sixth London appearance for CMA Songwriters Series during C2C.